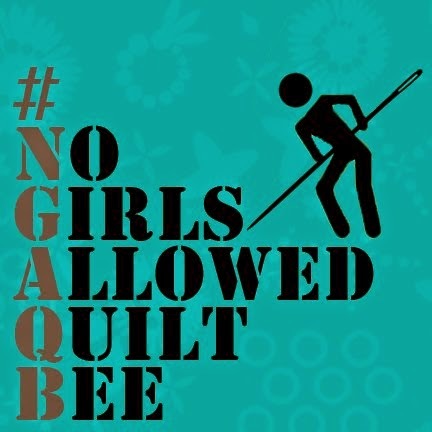 Looking forward to the wonky log cabin QA! Those are nice bags! When you finish with the unicorns, your daughter will be on to something new. And yes, Deer valley is great. Had to just tell you John. My, Mr just turned 5, was climbing all over me as I was scrolling down your page. He saw the Deer Valley blocks (just got me some, woo hoo) and said 'hey Mum, that looks like a piece of Art'!!! Love those moments. Looking forward to the wonky cabins. Great bags. 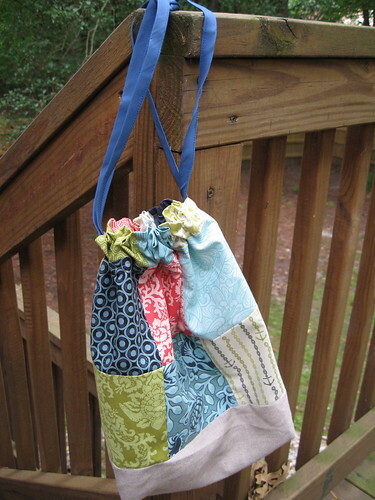 My daughter is off to college and she needs a laundry bag....I think you have inspired me to make her one. Nice looking embroidery piece you did. I'm sure your daughter's ideas will give you lots of practice. Great bags! And I love that deer valley fabric. If I keep seeing it on here I finally will have to buy some for my stash, I won't be able to resist. Can't wait to see your elephant! applique. some serious applique project... but i probably won't do it... I do a little here and there but that's all I can manage right now. good for you for trying something new! 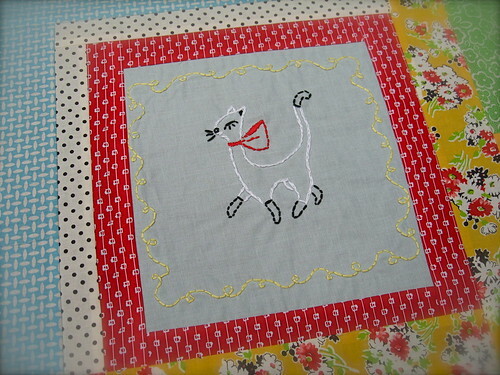 I had itchy fingers for a small hand quilting project yesterday so i threw something together just so i had something... I like that kind of gratification! I got your flying geese block! love it!thanks john! My sister-in-law gave it to my daughter and I stole if from her because she is not interested in sewing right now...too busy working to save up money for grad school! :) So I win. 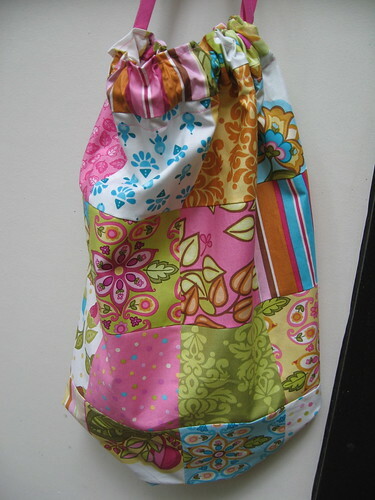 I hope you asked before you scooped up that fabric from Mrs Quilt Dad's stash. Otherwise you might be in some serious trouble. I love the Neptune bag. My 5 yr old son is the same way. I just finish making him a sweet wool felt spaceship and he informs me that he is now into knights, so I get him some playmobil knights and then he's into superheros . . . sigh. I've given up trying to keep up. I've been considering taking up knitting. The main thing that's stopping me is the idea of starting another stash . . . I'm still trying to figure out what to do with my beading stash. Or learn to stitch faster. btw...I don't think I ever heard back from you when I sent MY summer project....the log cabin circles. What's up with that? 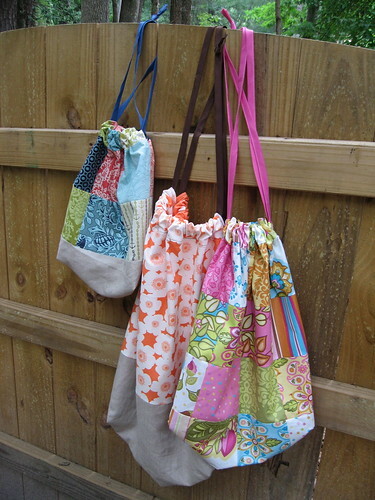 Great bags, and cute embroidery! You have such great taste in fabric. The bags are way cool. Love the embroidery. The elephant it too cut! So glad you enjoyed our pattern. Love your bags. Love your blocks. 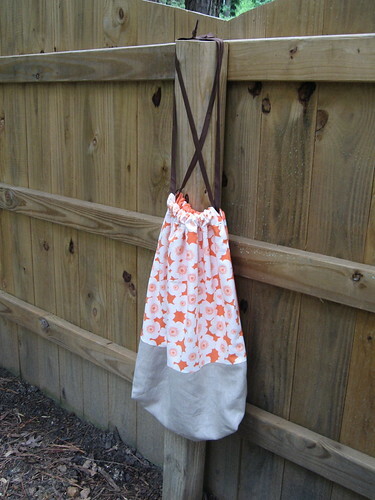 Re-inspired to make bags with my own munchkins! I highly recommend any of the Miyazaki movies! I've seen most of them, and they all have wonderful stories and lessons. And I totally get that you got inspired to create because of Ponyo. The visuals and colors Miyazaki uses do the same to me. As far as trying something new.. My DQS 7 quilt is all new for me: a round top, a fully-self designed paper-piecing border, fusible applique, and some beaded embellishing. Great blog! Nice to find other crafty guys out there. Great taste in fabric too! Nice job on the totes. They are fun aren't they? I need to make some up for some gifts (upcoming birthdays, etc.). I saw you signed up for the Tea Towel Tour!! me too. WOW!, I've just stumbled on your blog and am blown away with your talent. I love the colours and the patterns. I especially love those wonky blocks. I'm going to try some of those. 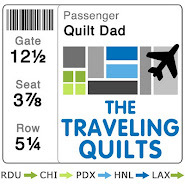 I've never known a man who quilts! I saw Ponyo this weekend, too. I loved all of the underwater shots...I got lots of color inspiration from it too. Your bags are great John!! I've made a few from that Fig Tree pattern too...they are wonderful gifts! You always make the coolest stuff, seriously you have a good eye for color! I have a 7 & 8 year old, they love any movie that Miyazaki makes, we are going to see Ponyo tonight and we are all so excited. You have to get some of his other movies for your kids, they are all wonderful, start with My Neighbor Totoro. And the moleskin idea is great, I am copying you :D Embroidery is addicting, you have been warned. 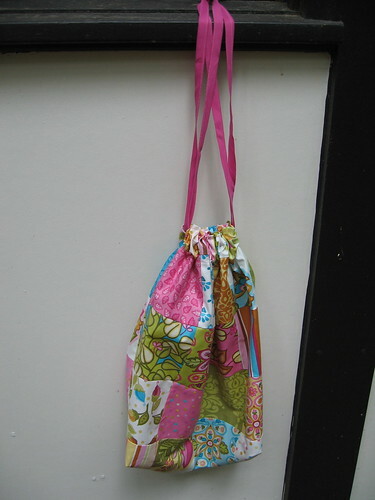 The bags are great, and addictive to make, I know. But the embroidery...that is something I've been wanting to try and just haven't jumped in and done yet. You inspire me. 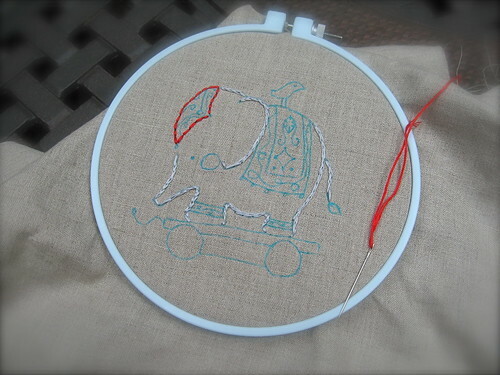 Oh my gosh, I'm so thrilled you liked the elephant pattern! You are going to LOVE embroidery - but, like other have said, it is quite addictive so watch out. You have absolutely inspired me to try another quilt. 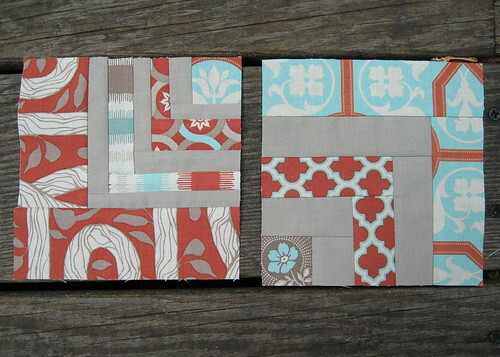 It has been about a year since I have tried a quilting project but now I feel like I need to give it a go once again. Thanks! Love Miyazaki. Howl's moving castle was great, but also check out Kiki's Delivery Service. Love the blocks. They're very fresh! I have also been inspired by all the embroidery. i have been wanting to try my hand at it. How did you get started? Did you find a tutotial on basic stiches?